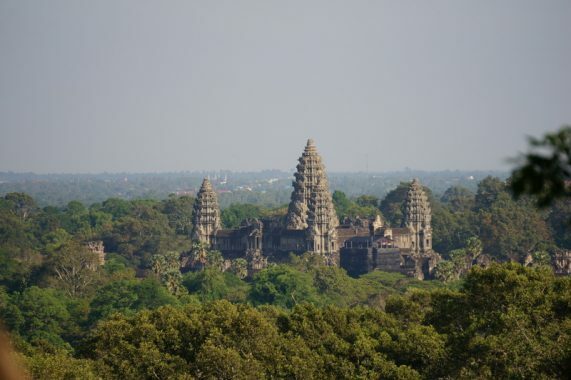 Most of the travelers spend two or three days in Siem Reap. Is this time enough to see everything? Well, let’s say that two days is the time required to see the essentials. Although, if you have more days, you can enjoy other activities and temples and also you can explore more calmly the Angkor Temples and visit some others further away. In this quick guide, there is all the information you need to plan these days: the location of the new ticket office, the Angkor’s code of conduct and other different activities. Besides, I’ll give you some tips, extra information, and GPX routes. These routes help you go by yourself without getting lost in the temples. Before travelling to Cambodia, you should check if you need vaccination, visa, in which zones you need to be careful, important phone numbers, etc. Your country may have an official website with that information (usually the website of your country’s embassy in Vietnam). 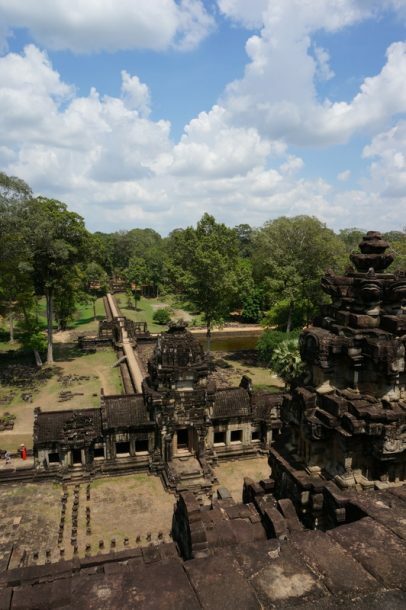 The first task to do is buy the tickets to visit the Angkor Temples. The ticket office was relocated the last year and the prices were also changed. The new location, prices and more information like the timetable are in the official web of the ticket office: Angkor Enterprise (Angkor Ticket). Many tourists don’t know about the rules to visit the temples. I think it’s very important to respect the religious places and customs of the country which we visited. 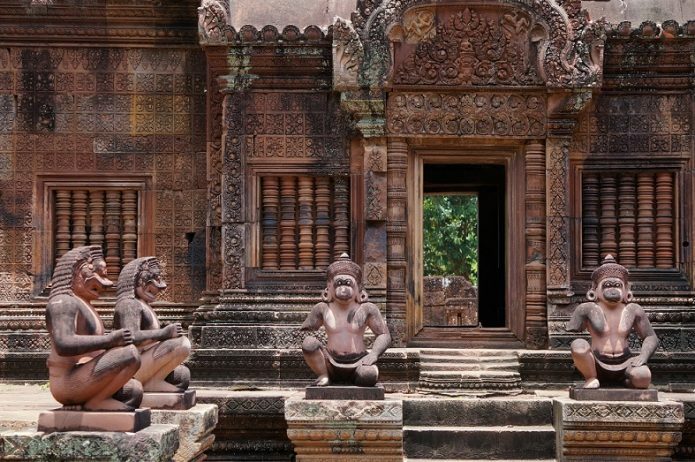 Therefore, you have to follow the rules mentioned in this page: Angkor Code of Conduct – Apsara National Authority. It’s essential to have the shoulders covered, and use trousers below knee. 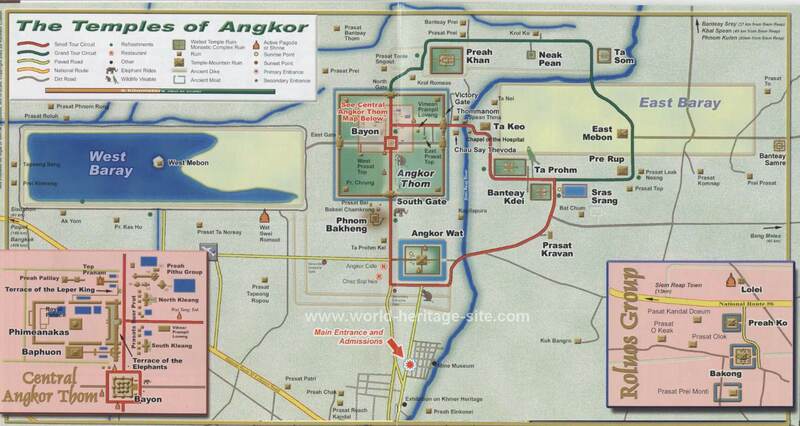 Angkor – World Heritage Centre – Unesco website describes the importance of Angkor Temples. Next, there are two official circuits to go over the temples. They are called Small Tour Circuit and Grand Tour Circuit. Two days are necessary to complete both tours. 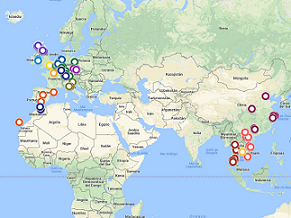 I’ve listed the temples that belong to each circuit. Angkor Wat – South Gate of Angkor Thom – Bayon – Baphuon – Phimeanakas – Terrace of the Elephants – Victory Gate – Ta Keo – Ta Prohm – Bantey Kdei – Phnom Bakheng. ➜ Grand Tour Circuit (actually, it’s an extension of the small circuit). On the map below, you see both the paths Small and Grand, the temples mentioned, and others points of interests of Siem Reap. You can download the complete map (or only some layers) if you follow the steps described on Take my Google maps for your trip and check them while offline. Besides the official circuits, I’ve indicated on the map a blue path. This way goes to Banteay Srei and it’s not included in the circuits but it’s possible to add it to the Grand one. Other points marked on the map: two restaurants, the tickets’ office, more temples, etc. Here is the official map where you can easily see what they call Small and Grand Circuit. Visiting the numerous night markets in the city is a must do. Most of them sell souvenirs and craftwork. Usually, there are several locations in the touristic maps which are named ‘night market’ but you can find the main one on my map. You don’t need to plan it, just go and walk around the center. The best time is at sundown or at dusk. 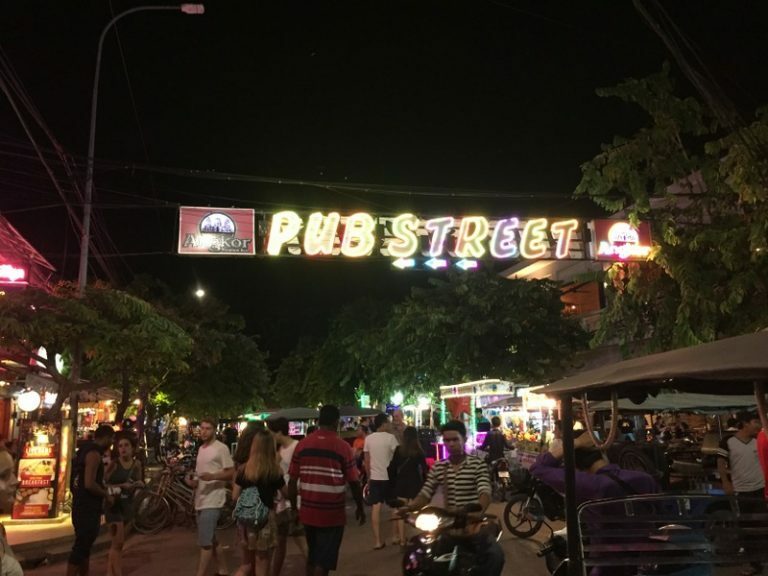 The most famous street is called Pub Street where most restaurants and nightclubs are located, and also there are many tourists. You can just wander around and enjoy the atmosphere. This is the itinerary for two days in the city, taking advantage of the daylight hours to visit the temples and, after that, enjoying the night activity. ✦ There are more temples, farther from the center, which are also interesting to visit. All of them are included on my map. 1. Banteay Srei. As I’ve said before, this temple could be visited the same day as the Grand Circuit. 2. Roluos Temples: Bakong, Preah Ko, Prasat Lolei. 3. Beng Mealea Temple. It’s the most remote located temple, in the middle of the jungle. It takes more than 1 hour to get there by car. The entrance fee is not included in the Angkor ticket, $5 April 2017). ✦ Kulen Mountain National Park y River of One-Thousand Lingas. 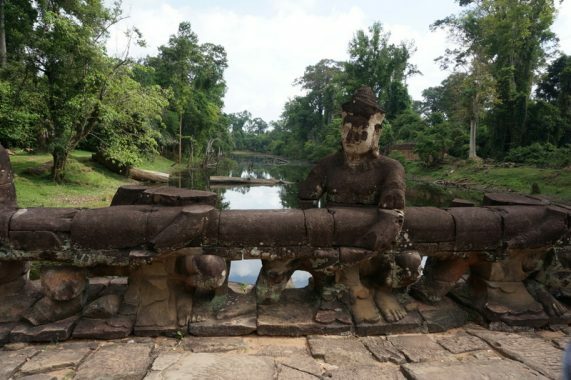 This park is located in the middle of the jungle where there are some temples and a strange river. Its riverbed contains several sculptures resembling lingas. You can see pictures here. ✦ Visit a floating village in the Tonle Sap Lake: Chong Khneas, Kompong Phluk, Kompong Khleang, Mechrey o Kaoh Chiveang. 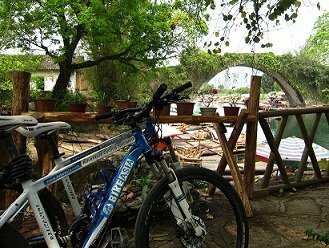 I’ve linked each village to TripAdvisor reviews, so you can read more about this experience. The last town doesn’t have any review, maybe it isn’t so popular. ✦ Things to do by TripAdvisor. 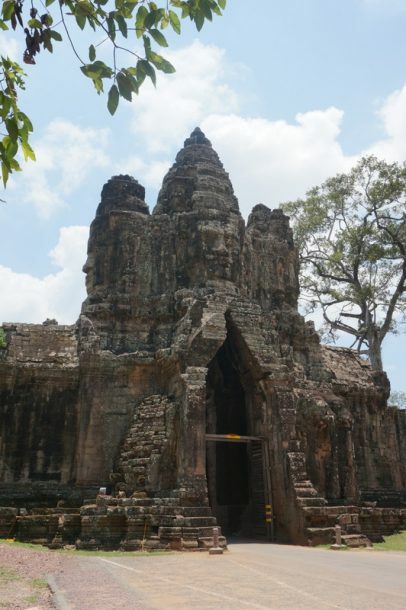 If you have more time to visit Siem Reap there are more places or activities to do, check the web. ● Don’t visit orphanages. You have more information about why avoid it on Children are not tourist attractions – ChildSafe. ● Don’t buy souvenir to the children, don’t encourage them to start working when they should be in school or playing. There may even be children who speak your language, and tell you: ‘sir, buy a magnet, just one dollar’ or ‘one magnet, one dollar’. ● Don’t ride an elephant. 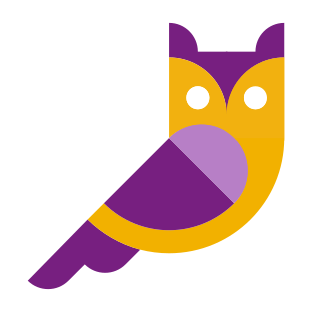 If you want to know why, check this page: Responsible tourism – Change for Animals Foundation. ● They normally use dollars, so you don’t need to withdraw Cambodian money. In fact, it’s illegal to take Cambodian Riel out of the country. If they give you back the change in Riel you can spend it in water, for example. ● The Visa can be requested through the official website: e.visa Kingdom of Cambodia. This web has been recently updated. When I tried it, the web didn’t work and, after asking them about the error, they suggested me the mobile app. So, I requested the visa via the mobile app. Right now the web doesn’t show the app option. ● It’s very common to see the sunrise at Angkor Wat Temple and the sunset at the top of Phnom Bakheng Temple. The last one is not interesting because the view is not special, it’s just a brown landscape with some trees. Besides, the access is limited to 300 persons at the same time, so when you go there, there may be a long line waiting to go up (and it’s possible you can’t go up on time to see the sunset). But there is another place with nice view in the Phnom Bakheng Temple. On my map I’ve marked a viewpoint from where you can contemplate the Angkor Wat (without waiting the line 😉). ● When you are visiting the temples you could run into some people who say they want to practice English. They will show you some cool places to take pictures or some secret places which you wouldn’t find by yourself. Obviously, they want also money, but they don’t insist. I think it’s fine if they are adults, not children, and who knows, maybe they really want to learn English. ● The short one way by tuk-tuk in the city center costs 2$ (April 2017).